match4kim - Get Swabbed and Save A Life! My name is Kim Roper and I need your help. Neither radiation therapy nor chemotherapy has cured my Non-Hodgkin's lymphoma. My best option is a bone marrow transplant. Unfortunately, there is no bone marrow match for me in the National Registry. I have no siblings and am dependent on the National Registry to find a donor match. It is easy to see if you are a potential match for me or for any one of the hundreds of people who need a life-saving bone marrow transplant. All it takes is a few minutes of your time and a cotton swab. You have the power to save a life. Take the test. Spread the word. 3. Complete the online form and cotton swabs will be mailed to you. 4. Follow the instructions and swab the inside of your cheek. 5. Return the swabs in the pre-paid envelope to the NMDP. Like most of you, I had no idea that people with cancer depend on the national registry to find a bone marrow match to save their life. I also had no idea how easy it was to get tested and that all it takes is a cotton swab. You might not end up being a match for me, but by registering and getting tested, you might someday save the life of someone else. Take the test. Ask your family and friends to take the test. You can make a difference. Thank you. Talbots located in The Shops at Worthington Place is hosting a Match4Kim donor drive in it's store on Friday, June 5 from 5:00 pm until 7:00 pm. The adress is 7227 Norh High Street Worthington, Ohio 43085 (614) 431-0110. Thank you to Sue Wolford for organizing this drive! 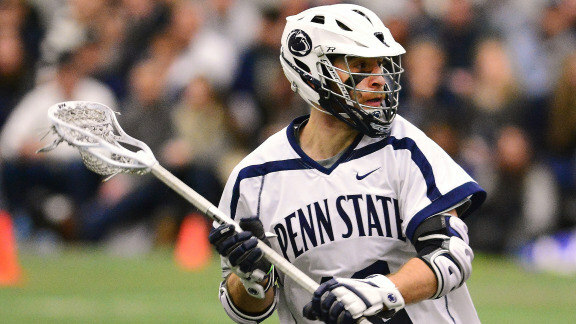 Penn State lacrosse player Kyle Van Thof (PSU '14) was one of the hundreds of Penn State students who registered at the Match4Kim drive held at Penn State in November of 2012. The PSU drive was organized and hosted by Drew Roper (PSU '13) and the Penn State lacrosse team. Kyle and Drew, both midfielders on the Penn State lacrosse team, were college roommates at the time. Although Kyle did not match for Kim, he did match for someone else who has leukemia and who needed a life-saving bone marrow transplant. Kyle made his donation in early February. Way to go Kyle! 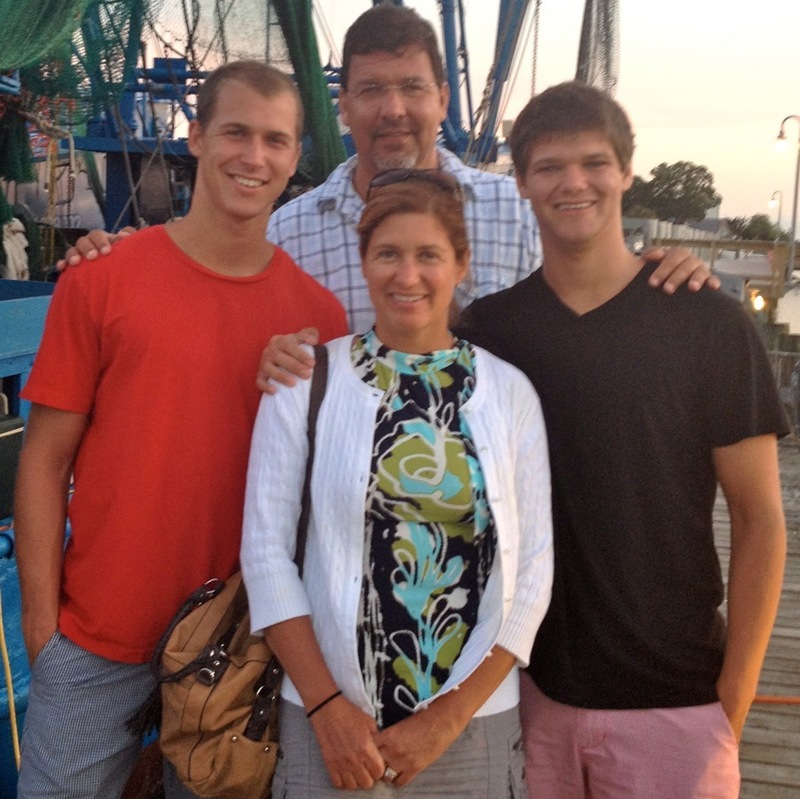 Of the over 4000 people who have registered so far at Match4Kim donor drives, Kyle is the third person who has matched for someone else and who actually donated life-saving bone marrow for someone in need. To read more about Kyle, click here. To date, the PSU lacrosse drive remains the largest Match4Kim drive and added almost 1000 people to the National Bone Marrow Registry at Be the Match. 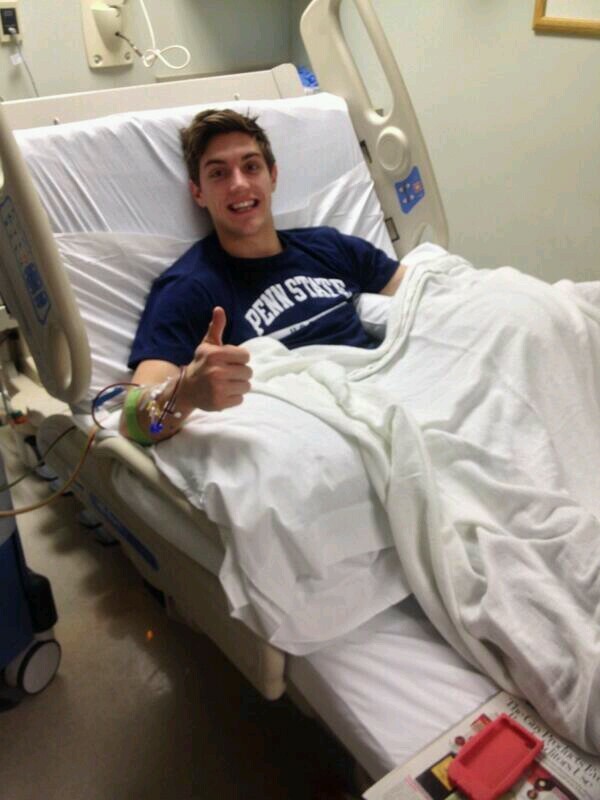 Two people have now received life-saving bone marrow donations as a direct result of the Penn State lacrosse drive. Both donors were PSU student athletes. Thank you to everyone at Denison who participated in the hughly successful Match4Kim drive on May 1. A special thank you to Brian Miller (above) who helped organize this drive along with members of the Denison lacrosse team and Phi Delta Theta. Good luck Big Red in the NCAA lacrosse playoffs! A Match4Kim donor drive will take place at Denison University on Thursday, May 1 fom 11:00 AM until 3:00 PM in Slayer Union. The drive was organized by Brian Miller and will be hosted by Phi Delta Theta and members of the undefeated Denison Lacrosse Team. Thank you Brian for organizing this drive. Go Big Red! 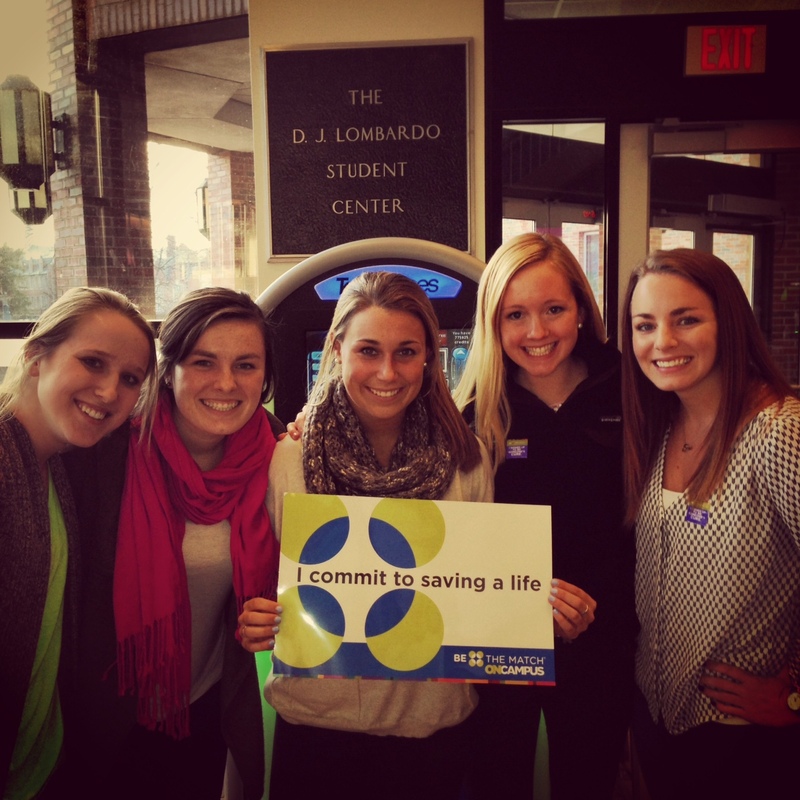 On March 26, John Carroll University hosted a Match4Kim donor drive that was organized and hosted by Lindsay Eddingfield. The drive was one of the most successful drives ever in the entire Cleveland area and registered 330 students and others from JHU in just one day. Thank you Lindsay and all the students at John Carroll who helped with this amazing drive. Match4Kim will be conducting two donor registration drives at the Ohio State vs. Penn State hockey games this weekend in Columbus. The first drive will occur on Friday, January 31 between 6:30 PM and 9:00 PM in the Fred Taylor Room in the concourse of the Jerome Schottenstein Center. The second drive will take place on Saturday, February 1 between 1:30 PM and 4:00 PM at the same location. There will be announcements during the game. There will also be a tribute to David Glen, a captain on the Penn State hockey team, who will be missing the game because he just recently made a bone marrow donation. 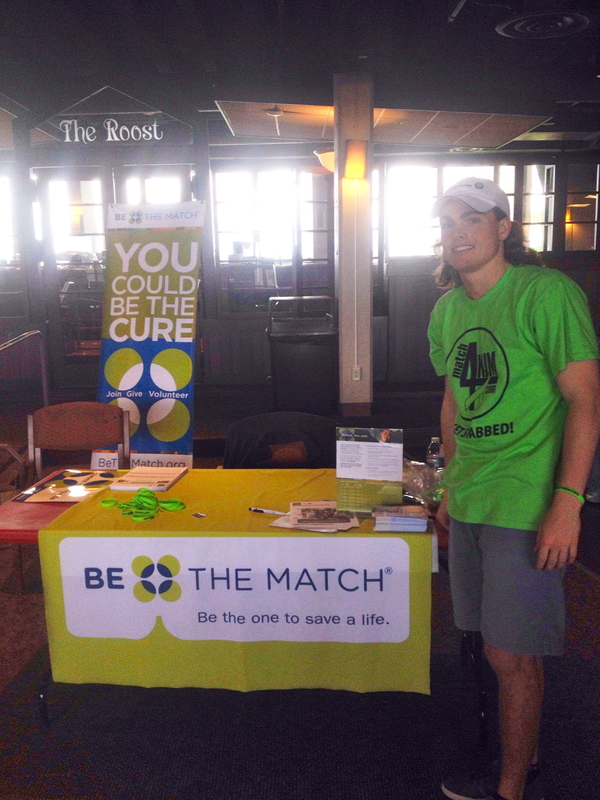 David registered at a Match4Kim donor drive that took place in the fall of 2012 in State College that was organized and hosted by Drew Roper and the Penn State lacrosse team. To read more about David and his amazing story story, click here. Come on out and see some great Big Ten hockey action and register to be a bone marrow donor! Penn State ice hockey player David Glen was one of the hundreds of Penn State students who registered at the Match4Kim drive held at Penn State in November of 2012. The PSU drive was organized and hosted by Drew Roper and the Penn State lacrosse team. To date, it remains the largest Match4Kim drive. Although David did not match for Kim, he did match for someone else who has leukemia and who needed a life-saving bone marrow transplant. David made his donation this week. Way to go David!! Of the over 4000 people who have registered so far at Match4Kim donor drives, David is the second person who has matched for someone else and who actually donated life-saving bone marrow for someone in need. To read more about David, click here, and here, and here.